The Trap of Hollow Oily Water Specs, and How to Avoid It! What’s the 1 essential piece of information needed for a bullet-proof oily water specification? The required oil water discharge limit, right? Wrong! While it might sound strange, specifying only the discharge you need practically guarantees you will get non-compliant equipment. If you don’t specify what’s really going in to the oil water separator, then vendors will assume any input conditions they prefer – and you can bet they will pick easy oil water feed conditions that make their separator look good rather than the conditions you really have. Does the following direct quote from a vendor look familiar? Give me a break! No emulsified oil…only treats ‘free oil’. If you buy a system with this restriction you better have a big $ budget because your going to need to replace it very quickly as its not going to solve your oil water problem. Specifying only the discharge requirement is a trap! 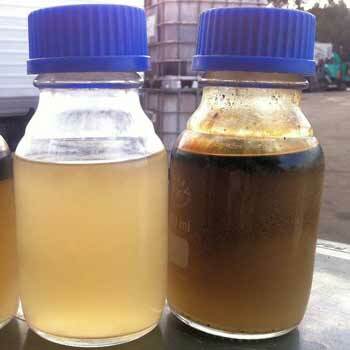 Let’s say you want to achieve oil of 5 mg/l on the treated water discharge. Since that’s the goal, that’s all you put in the spec – with little info about the actual feed oily wastewater to be treated. Now all a vendor needs to do to “meet” the 5 mg/l discharge limit is assume (and you can bet they hide it in their bid small print) that the oily water is not emulsified and contains only free oil like the real example above. With only free oil a small tank would easily meet 5 mg/l discharge. Because you really have emulsified oil – you the customer – gets stuck with a system that doesn’t actually work. Worse, the vendor takes no responsibility because you did not tell them the oily water was emulsified. It’s very simple to avoid this trap! Make sure you specify the oily water feed conditions going in. The most important factor that determines the performance (success rate) of a separator is the micron size of the oil droplets going in. You have 300 micron size oil droplets going in. A simple gravity tank will separate those huge droplets out, and successfully achieve 5 mg/L. You have 25 micron size oil droplets going in. Gravity will do nothing. You need a more powerful separator, capable of attacking and removing those 25 micron droplets. Equipment rated to treat 25 micron will successfully achieve 5 mg/L. The trap that companies (and consultants!) fall into is asking for a discharge standard without properly specifying the oily water feed conditions; critically how big the oil droplets are. Asking for just the output of a separator is irrelevant unless you specify what the water looks like at the input. 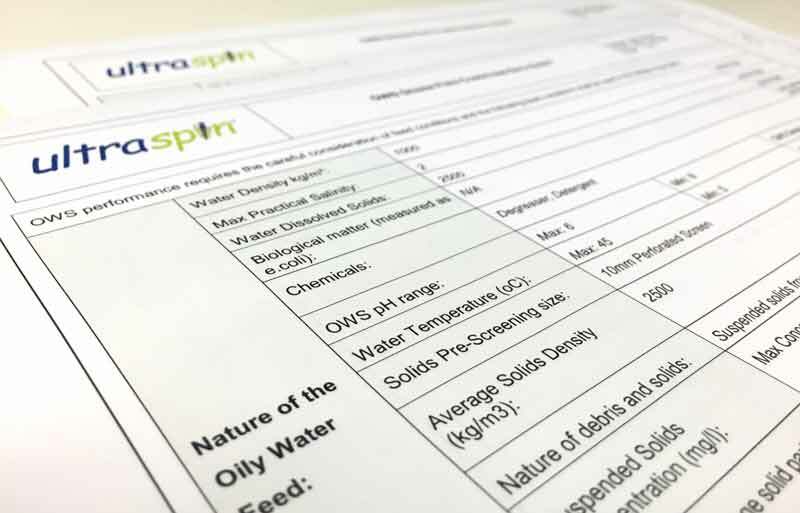 If you would like further information, or to download a template oily water specification that you can use for your project, contact Ultraspin.